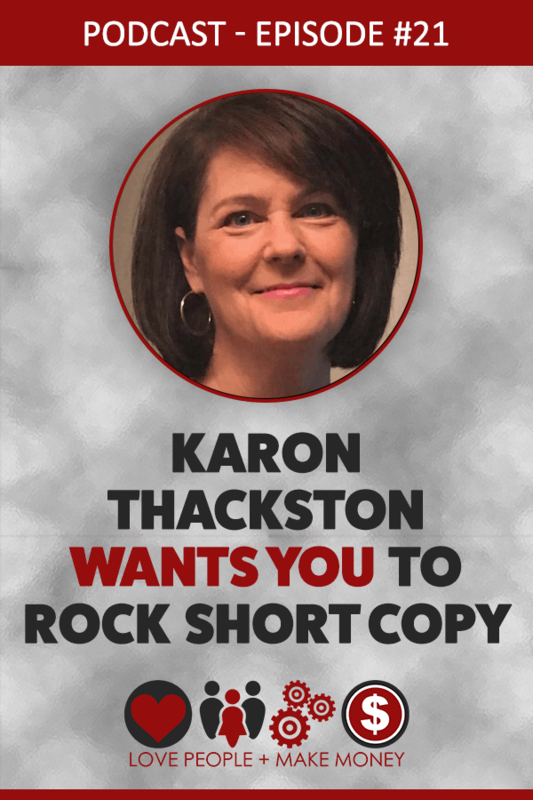 Since 1999, Karon Thackston and the Marketing Words copywriting agency have been devoted to delivering high-value training that empowers online entrepreneurs to communicate, convince and convert leads into loyal customers. That means she's going to celebrate 20 years in business this year. 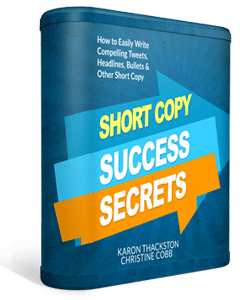 Get to know Karon with me and learn more about Short Copy. Short Copy doesn't work alone. It moves your readers forward. Start long and whittle it down for impact.